Forest Park Forever Education Coordinator Ellie Stevens thinks of the Park as a place where people from throughout the St. Louis Metropolitan area can come to play, learn and grow with each other. For Stevens, Forest Park offers tremendous opportunities for education and for furthering Forest Park Forever’s mission of restoration, maintenance and conservation while bringing people together to connect and create memories. Stevens joined the Forest Park Forever team about a year and a half ago. Since then, she has been working to build on the spirit of inclusiveness that is a part of the Park’s many educational programs, which is now reflected in the new look of the Learn section of Forest Park Forever’s website. A good example is the popular Voyage of Learning program. Partnering with about ten different organizations, from the Saint Louis Zoo to the Missouri Department of Conservation, Voyage of Learning for years has brought educators to the Park to learn how they can enhance classroom experiences. Educators obtain skills to create new outdoor learning experiences for their students. All the hard work builds up to Voyage of Learning 3, in which educators gain first-hand experience teaching in the Park while providing a memorable summer program for St. Louis City children. These 3rd-5th grade children, this year coming from the Adams Park Boys and Girls club, will spend time exploring the Park’s 180-acre Nature Reserve — but it will be more than fun and games. They will actually be working Forest Park Forever’s education team to help develop strategies to encourage more people to venture into the reserve. 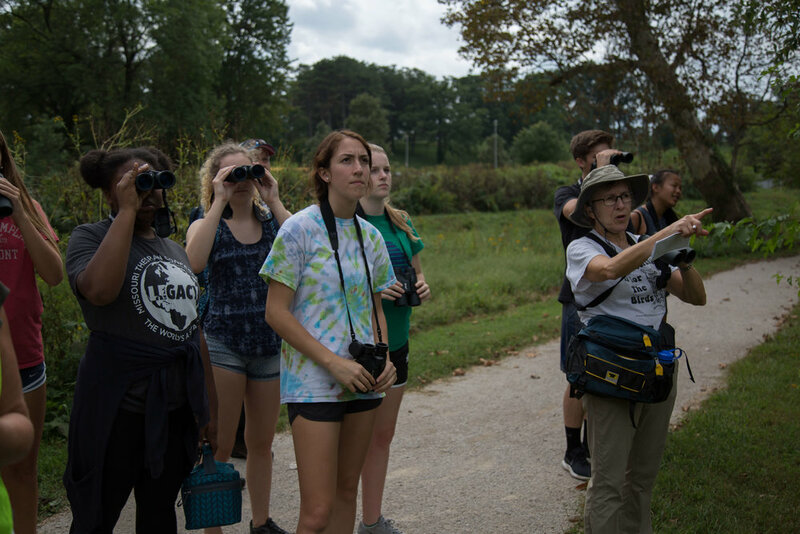 Teens can apply to participate in Nature Works (applications for 2019 are now closed), Forest Park Forever’s innovative high school workforce development program. Nature Works brings students from around the metropolitan area to the Park for a paid summer internship. One common experience is near and dear to Stevens. 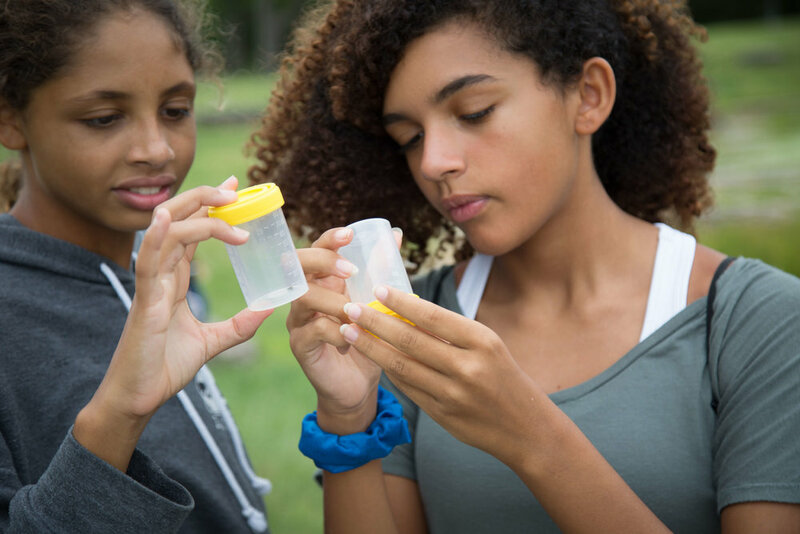 An entomologist by training (she holds a Ph.D. in science), she delights in seeing Nature Works students who were afraid of bugs at the beginning of the summer come to appreciate the complex insect societies around them every day. “They’ll get right in the thick of it, asking questions and learning about things they hadn’t thought of before,” Stevens explains. Nature Works participants learn about more than nature, though — they also learn valuable life skills, such as how to interact with adults, fill out tax forms and even give an elevator pitch. “We don’t make any assumptions about what they may or may not know, we just try to coach them through the process,” she says. 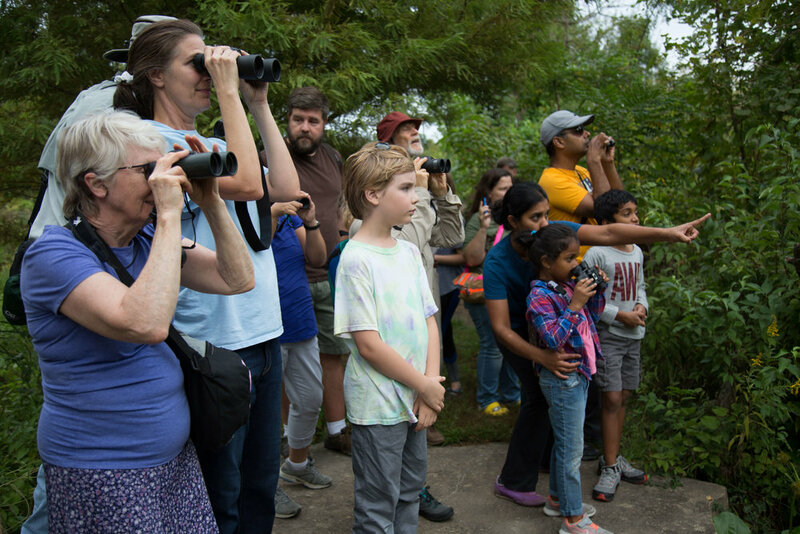 Adults and families can also participate in educational offerings, such as Heart of the Park Walking Tours, Wildflower Walks, Horticulture Classes with the Experts from Forest Park Forever and Beginner Bird Walks. Forest Park Forever’s educational programs benefit another community, as well — the staff members, like Stevens, who can be seen working in the Park every day. Stevens’ hope is that everyone who connects to Forest Park through an educational program will become an advocate for the Park and for wild, green spaces throughout St. Louis.